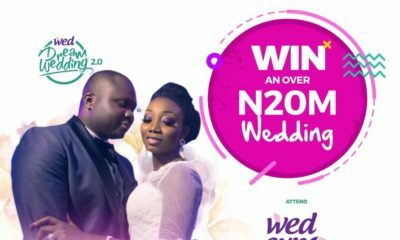 Exhibition Guru one of the biggest Exhibition organizers in Nigeria that powers the popular WED Expo (Nigeria’s Largest Wedding Exhibition) is proud to present a new edition of the wedding expo this October with a new media campaign that cuts across tribes! The new city for this edition will be Benin which means the expo would hold in Benin, Abuja and Lagos. WED Expo already has a large patronage but what this means is a Bigger Exhibition and a lot more guests. 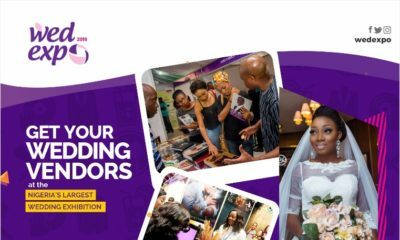 Your company gets to see the best of both worlds, clients that come for wedding related items and customers that are there for fashion or beauty related products. Thousands of guests are expected at each exhibition! 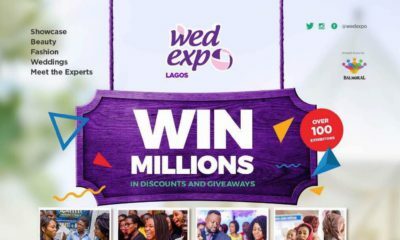 WED Expo: Wedding/Event planners, Event Decorators, Bridal houses, Fabrics, Aso-oke and Asoebi merchants, Photographers, Videographers, Gift/Souvenirs, Cake makers, Caterers, Cocktails, Rings merchants, Beads and Accessories retailers, Groom houses, Bridesmaid Dress Designers and much more. Fashion and Beauty Expo: Makeup brands, Cosmetic companies, Fashion labels, Fabrics merchants, Fashion houses, Designers, Perfumeries, Beauty reps, Makeup Retailers, Makeup Manufacturers, Beauty houses, Makeup artists, Hair Stylists, Hair Merchants and many more. Get great discounts when you take a tour with WED Expo! 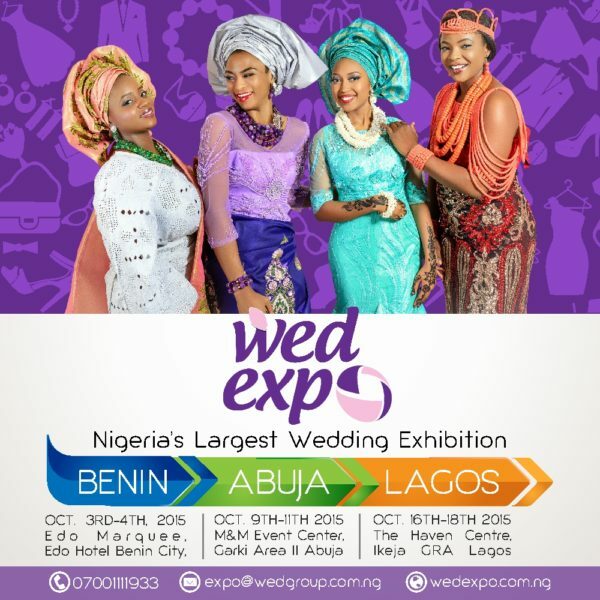 If you exhibit in all 3 cities – Lagos, Benin and Abuja, you will get mouth watering discounts on your booth costs. Hurry and grab this offer. Please CLICK HERE for more info on WED Expo October 2015.